We don’t know just how much Kelly Rowland is being paid for her duties as a judge on Britain’s version of The X Factor, but it’s obviously a lot. Because all of a sudden, she’s being able to afford to buy furniture made entirely of scantily clad men. Goodness knows where she finds her time to research, then buy said occasional pieces – and we’re sure there wasn’t so much of a mention of them in the latest Ikea catalogue. 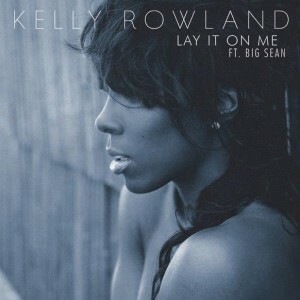 Alas, Kelly’s smoking up the screen in the clip to her latest single ‘Lay It On Me’. For example, we’ve never looked at your run of the mill slinky as anything more than a kid’s plaything, yet somehow Kelly manages to make it all seem to sensual. And is that an elephant!? There are brief moments here when she’s touching and cavorting with her bevy of buff male dancers that you really start to wonder just how much she must hate her life. Poor Kelly. Our heart bleeds for you, girl. Kelly does look hotter, but that really isn’t the point.